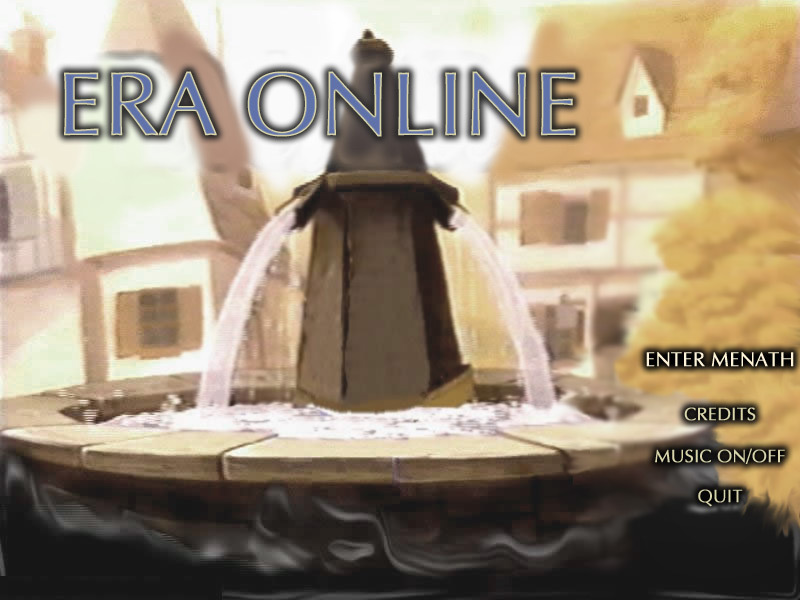 Era Online is a multi-player online RPG with quests and progressing story-line. It derives from the classic Era Online games originally created by Erling Ellingsen, which was developed using the BaronSoft ORE engine. Now, Era Online has come to Eclipse, and we are recreating the world of Menath. This thread will be a project blog of all the progress I make with the game. So far, I have been constructing the interface. I’ve done a few back end things, updated the map editor a little to suit my needs. My current project is converting support for 48x48 tiles. THUMBS UP Love it! Keep it up! I decided the interface was a bit too dark for the theme I’m going for, so I have decided to use a different interface. This is what I have of the main menu so far. I had to use a GIF in order to get the transparency to work, so I’ve lost quality on the edges. I’m currently working on having a PNG image draw onto the form using the DX coding that’s already within the script. But for now this is how it looks. I’ve yet to do the menu buttons but you get the idea. But then you used custom graphics? @xlithan wow… This looks great! Keep it up! As an original player of Era Online, and the creator of Era Online 2.0 (with Erling and a few others) this is great to see that someone is taking it a step further. I’ve still got all the original EO code base, artwork assets, sound, albeit this was built on ORE3.0 from BaronSoft, long before Mirage Source and Eclipse every existed. Let me know if you’re wanting to take a peek at the old EO! Throw back to EO 1.0 and 2.0 images! I was a Super Moderator at BaronSoft back when it was on the QBite forums. I played the original EO and EO2 (Which I have the source code for). I believe there is somebody else attempting to recreate Era Online and the world of Menath, but from what I saw from it, it was still using crappy graphics, crappy programming and it just wasn’t appealing at all. As an old Era player from many many years ago, I believe Era deserves some justice, and I also believe it’s fans deserve to see a modern, decent game. I don’t really require any old graphics or anything, but I could benefit from some old world maps, storyline, lore, anything of that nature that I can incorporate into this new game. I’m now currently in the process of converting the engine to 48x48 pixels. I know this is going to be a hard process but I’m determined to have it. The graphics are just so much better and it will set it apart from other Eclipse games and allow me to take full advantage of the RMMV graphics, which are beautiful. Making good progress with 48x48 conversion. 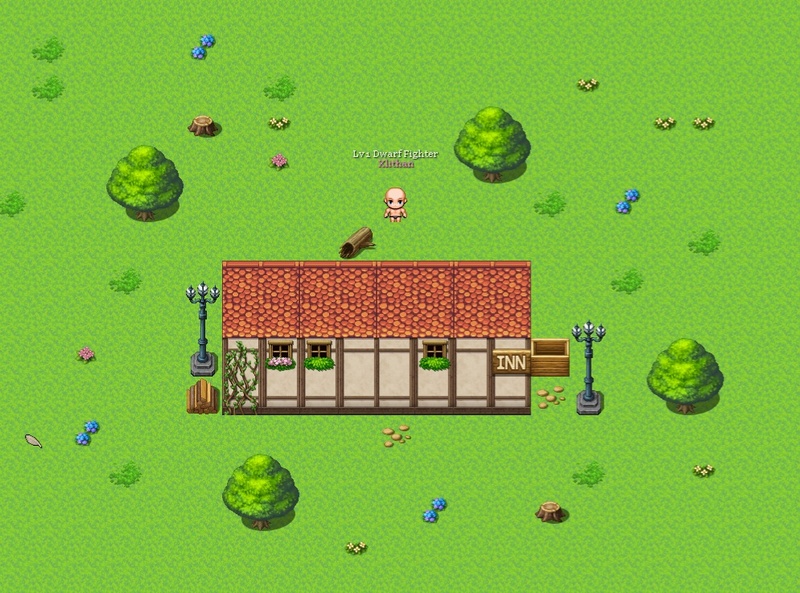 I have sprites and tiles converted which was the easiest. Directional blocking now works correctly with the conversion. Targetting works as it should but I need to move the target image down a bit. Autotiles seem to be the trickiest to do so far. Not sure why as I’ve changed the values to what they should be. Those should be the right values but I’m still not getting autotiles displaying correctly. Another thing I need to correct is the point of where the map starts scrolling when the player is moving. I doubt this should be much trouble so I think I’ll get that fixed and leave autotiles for last. Well, I’ve been giving it some thought and the idea of trying to make the engine Isometric appeals to me. I have absolutely no idea how I’m going to achieve this though, it may be way out of my skill set which is probably why it’s never been done before. I could always go down the route of fake isometric and just have the character move diagonal, with normal tiles made to look isometric. We shall see. Yeah I was thinking that. I’m just editing some code to get the character to move diagonally and then I’ll put in some iso graphics and see how it looks. I mean essentially it’s the same thing from the players point of view, who really cares if the engine isn’t true isometric? It’ll make mapping a little more complicated, but if it works, it works. The main area of code that needs to be edited, is Sub PlayerMove. It more or less needs to be rewritten for checking the tile they want to move too but it’s definitely, definitely achievable. I’ll post a short video if I can get this functioning correctly. Just change the X and Y where the tile would be drawn. As you increase an X, move sqr(2) diagonally over and up, then drop down every Y. Everything else is (basically) the same, just changes where things are drawn. Yeah, that works for the client side, but for server side in Sub PlayerMove, you have to more or less rewrite it. The code itself remains pretty much the same, but you’re doing extra checks. For example, if you move up, it checks the tile which is -Y of the players current position. Since moving up is now -Y and -X, you now need to check the tile up and left of the players current position. As for how the graphics rendering system is “moving” the sprite, I’m as of yet unsure, as I don’t think it’ll be as simple as “Oh, the sprite is moving up and left at the same time, I’ll just draw it so it’s moving diagnonal”, there will probably be some rewriting of that to show the sprite moving properly in the “new” direction. But we’ll get to that. Once that’s all done, I’ll see what happens when the screen moves. If it’s written the way I think it is, it just moves in the direction of which the sprite has moved, but whether it’s move in 2 directions at the same time is yet to be determined. You shouldn’t have to rewrite the server code. The only thing changing is what you see on the screen. Rotating the screen/drawing placement will mean hitting the right arrow key will move the player diagonally, but that just means you change the code (client side) to look for 2 keys down instead of one. This should all be perspective. Take a grid and have players moving on it, then move where your sitting 45 degrees on the axis, you see it differently now. The server sees it the same, the only different is what you see. You will need to change the targeting code, I suggest using a new variable for drawing and targeting, but that’s what I would do.